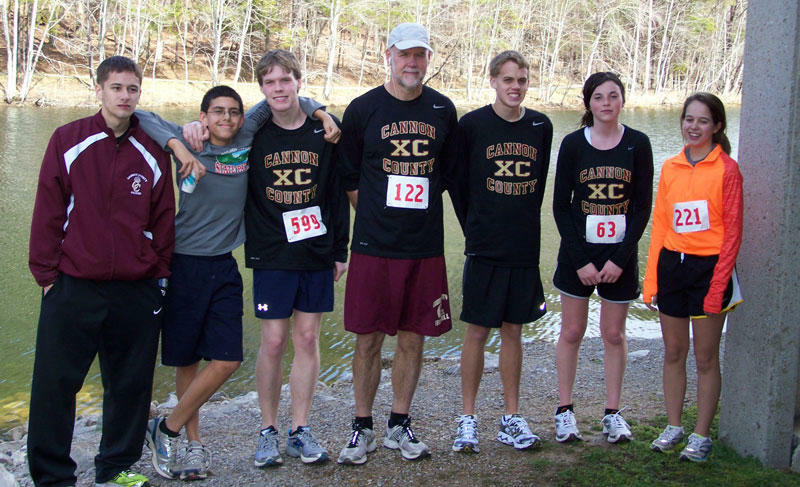 CCHS cross country runners finished the last race on the State Park Running Tour Sat March 3rd. The Fall Creek Thaw was a 15K (9 mile) race at Fall Creek Falls State Park. Hannah Faulkner placed first in the 19 race running tour female youth division, with Lauren Turney placing 3rd, and Jordon Turney, 7th in youth male. Other runners participating in the Fall Creek Thaw included Umar Rasul, C.J. Hatfield, T.J. Paul, coaches Marc Larson and Brian Elrod. "Cannon County was by far the largest group of high school runners represented at this tour," Coach Larson said. "It is very unusual to find high school runners committed to this type of mileage. I have never seen a group enjoy running as much as this one. They have set the bar high for next year's team."